Maybe you’ve decided on a square trampoline, or you’re trying to figure out what they are all about. 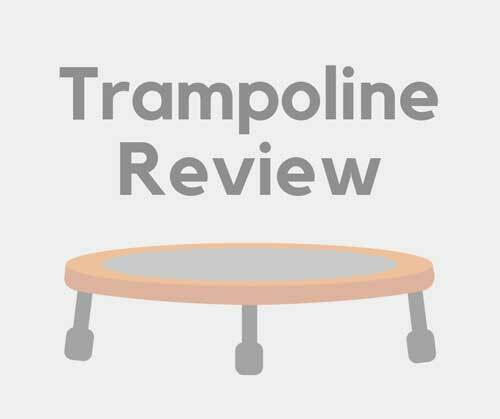 Today, we review the best square trampolines on the market for 2016. We also discuss the main differences between the round and rectangular versions. Not sure where to start? Click here to read our complete review guide. If you’re thinking about buying a trampoline for your home or backyard, you might want to consider purchasing a square model. Even though the round ones have been more popular in recent years, square models offer a lot of advantages. Even if two trampolines are about the same size, the rounded edges of a round product may cause it to take up more space. In contrast, one with a square shape won’t take up any more room than it has to. You’ll be able to fit it into your yard and still have plenty of space. If you’ve been looking at trampolines, you’ve probably heard about the injuries associated with them. A lot of people are concerned that their children will be harmed. Square-shaped trampolines can be safer for families. They often have a higher weight limit than round ones do, and they don’t jump as high. While there’s no way to mitigate the risk altogether, you won’t have to worry about your children getting hurt when they go into the backyard. To make things even better, you can purchase a safety net. That will allow everyone to jump without getting hurt. A lot of people assume that you won’t have a lot of options available to you when you’re shopping for a trampoline that isn’t round. However, that isn’t true. There are all kinds of square options on the market. Whether you look for a massive trampoline with a basketball hoop attached or something that’s a little more compact, you should be able to find something that’s right for you and your family. Take a look at your options and decide what kind you’d most like to purchase. There are advantages to every shape! Whether the trampoline you buy is round, rectangular, or square, you should make sure that you’re happy with the product that you purchase. There’s no reason for you to settle. Get one that you’ll feel good about using. If you’ve read our top trampoline brands article, then you know why we love the Skywalker brand. The Skywalker 15′ Square trampoline is loved by almost everyone that owns it. And while it’s hard to find a lot of people talking about square styles (most are round), this Skywalker model is the top dog. Of course our favorite skywalker brand is back to bring us another skywalker square trampoline! A lot of people love this square trampoline because of the price point on this one. It is a few inches smaller but comes at an affordable price if you want a trampoline for the whole family. Customer reviewers rave about this one and have not negatives to really talk about. It holds up great in weather, super stable, and the net encloses the whole trampoline to keep your children safe. You have to buy add-ons separate such as a ladder. Not so easy to read instructions. A great thing about this trampoline is that it comes with everything you need for a trampoline. It comes with the safety net, padded foam bars, and padded spring mats. The only thing it doesn’t come with is a ladder which is important because this is a bigger trampoline. Kids love the trampoline and so far it has great reviews. If you have something negative about the trampoline you get just contact customer service and they will help you! The square models are similar to the rectangular trampoline in many ways. Those similarities are what make it different than its round counterpart. Square, like rectangular styles, are designed for people looking for that extra bounce factor. Square trampolines give the user a firmer and higher bounce. That said, it’s not ideal for the younger jumpers as they are too light to achieve the bounce they are looking for. The round kind have springs that are pulled at the same time. This causes the bounce to be deeper and softer. In addition, the round trampoline will pull the user back to the middle of the trampoline. This is not the case with the square variety: The jumper has the chance to land all over the jumping pad. In that regard, it’s better designed for serious jumpers as it allows them to execute tricks. Obviously, the square and rectangle trampolines are similarly shaped. The only difference is the fact the square has an equal length and width. Despite the closeness, the rectangular models will give the user a higher bounce than the square, but it’s not by much. Also, the square has a slightly softer bounce than the rectangular version, which makes it more suitable for lighter/younger children. All things considered, the square is a hybrid of a round and rectangular style. If you decide to go with a top square trampoline, then you will get the best of both worlds.